Tangled is a 2010 American computer animated musical fantasy-comedy film produced by Walt Disney Animation Studios and released by Walt Disney Pictures. 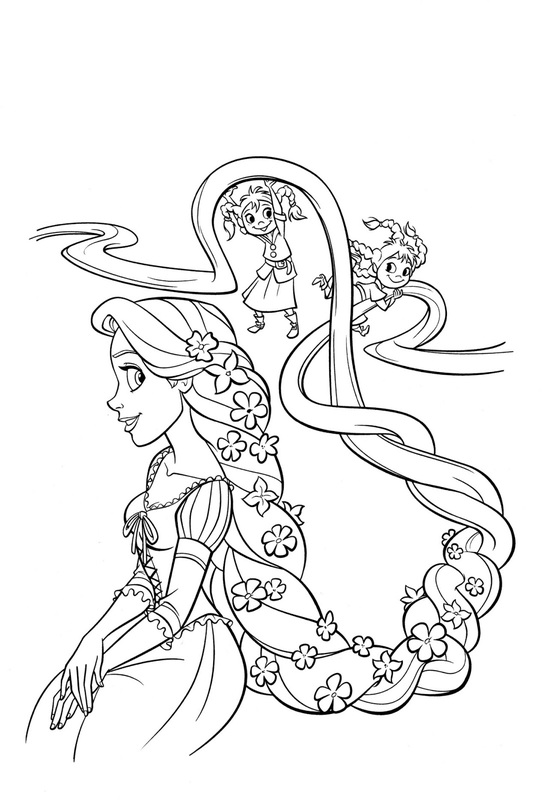 This beautiful Princess Rapunzel coloring page from Disney. 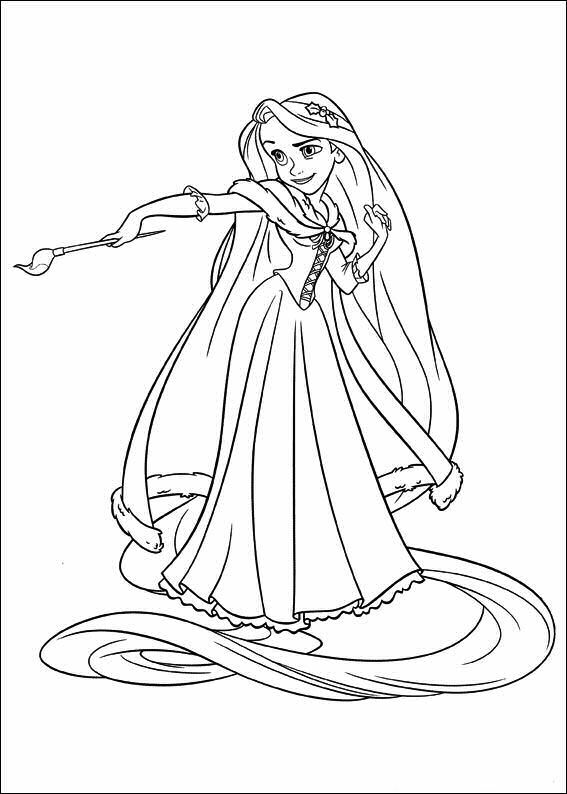 36 Tangled printable coloring pages for kids. Once upon a time, a single drop of sunlight falls to Earth and becomes a golden flower filled with magical properties. An old enchantress named Mother Gothel discovers the flower and hoards its healing ability to keep her young for hundreds of years. Centuries later, the pregnant queen of a nearby kingdom falls deathly ill, leading the king to seek out the legendary mystical plant. 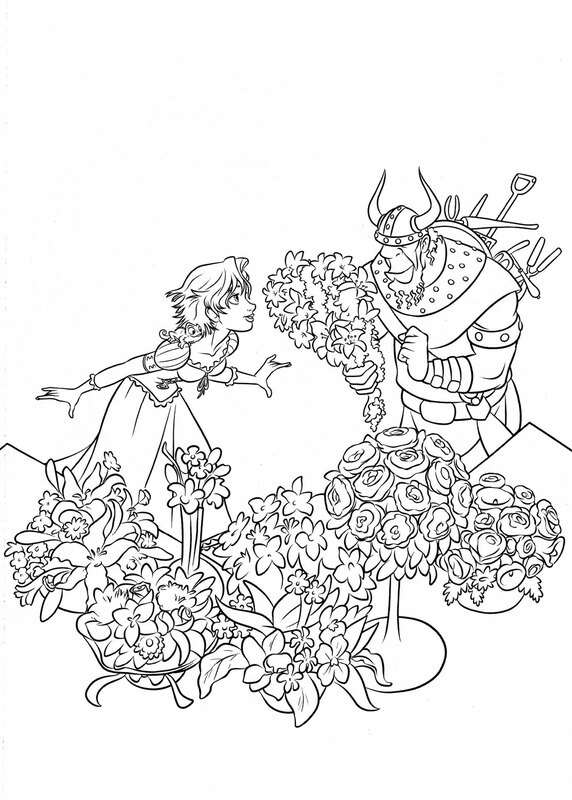 Despite Gothel's efforts to hide it, the flower is found, uprooted, and boiled into medicine for the queen, which heals her. 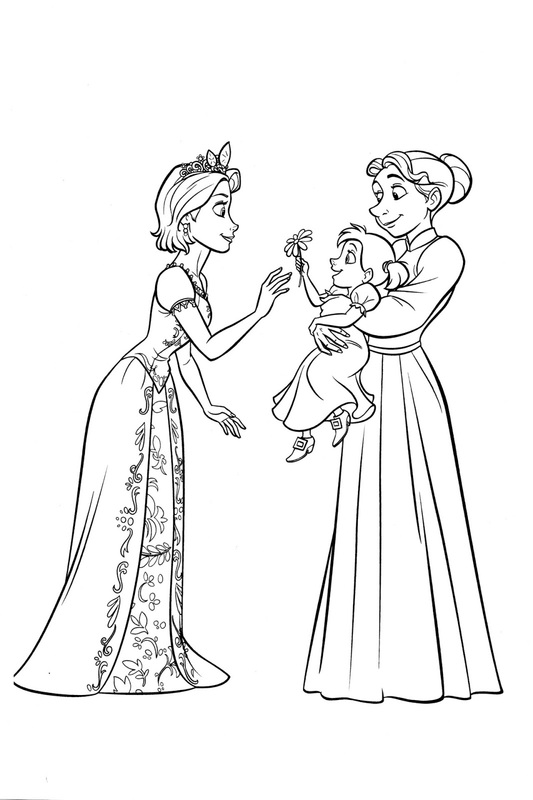 A baby princess is born with beautiful golden hair that possesses healing properties. 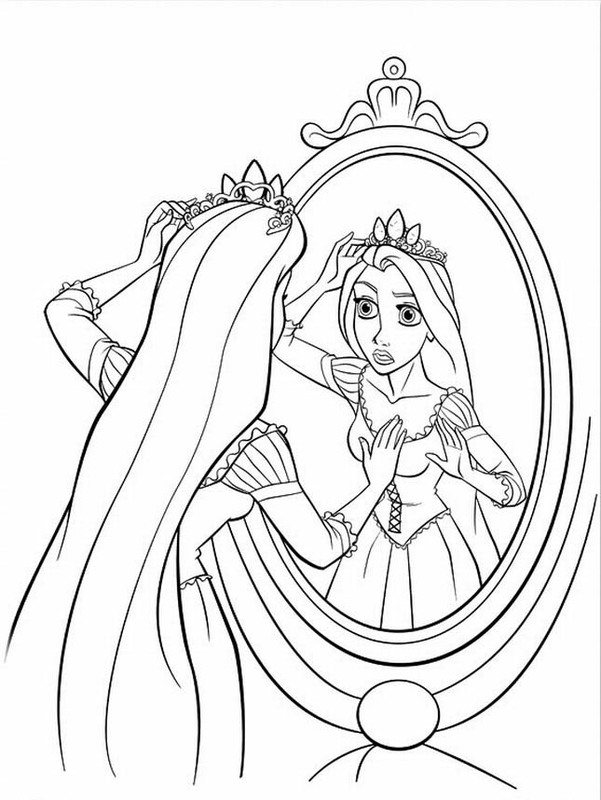 Gothel, wanting to reclaim her immortality and youth, breaks into the royal nursery to cut a lock of the princess's hair, only to discover that doing so causes it to lose its magic. 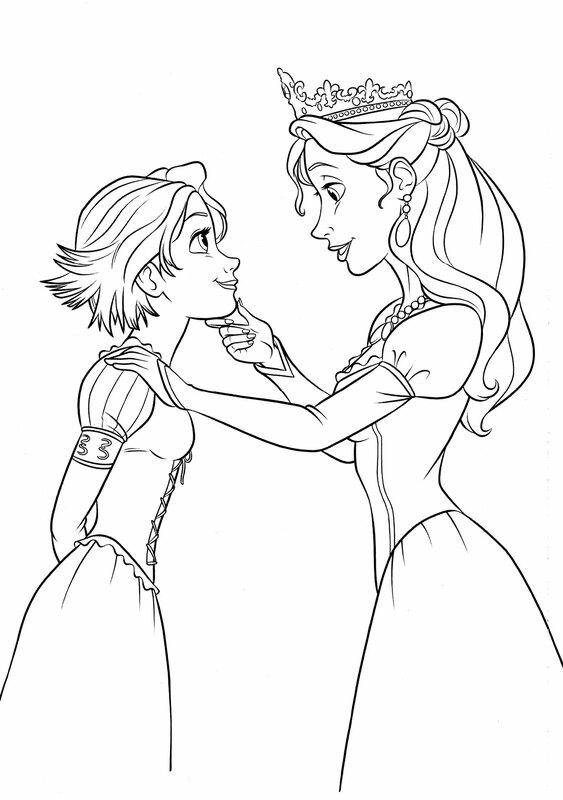 She kidnaps the princess instead and names her "Rapunzel," raising her as her own in an isolated tower. 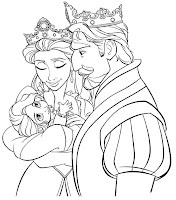 The king and the queen honor their missing daughter by releasing floating lanterns on the night of her birthday each year in hopes that one day, their lost princess will return. 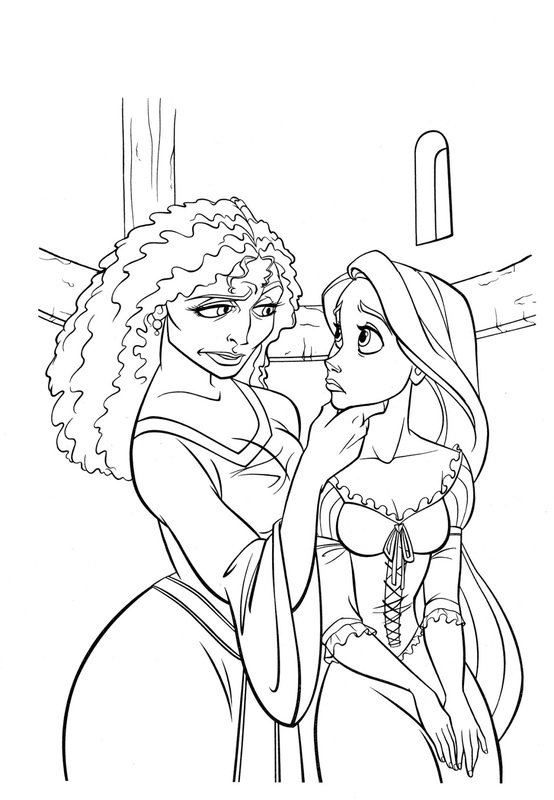 For her eighteenth birthday, Rapunzel asks Gothel for permission to go outside the tower to see the source of the annual floating lights, but Gothel refuses with the excuse that the outside world is too dangerous for Rapunzel. 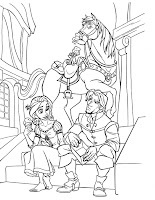 Meanwhile, Flynn Rider and the Stabbington brothers steal the tiara of the lost princess. During the ensuing chase, Maximus, horse of the Captain of the Guards, is separated from his rider but continues on his own. 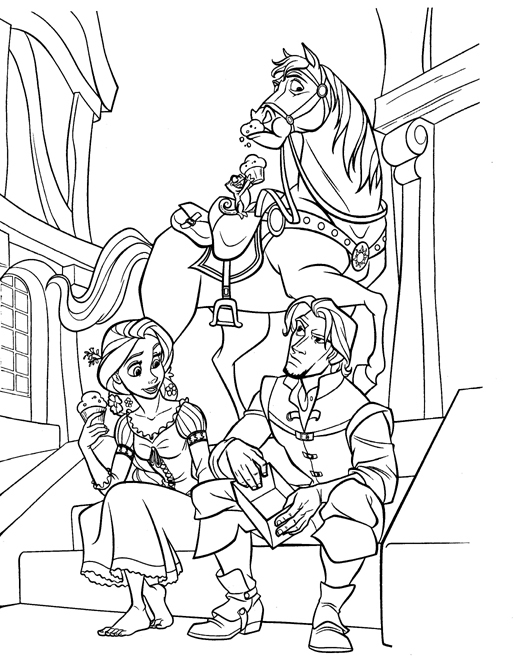 Flynn betrays his accomplices, outwits his pursuers, takes the tiara, and stumbles upon Rapunzel's tower. 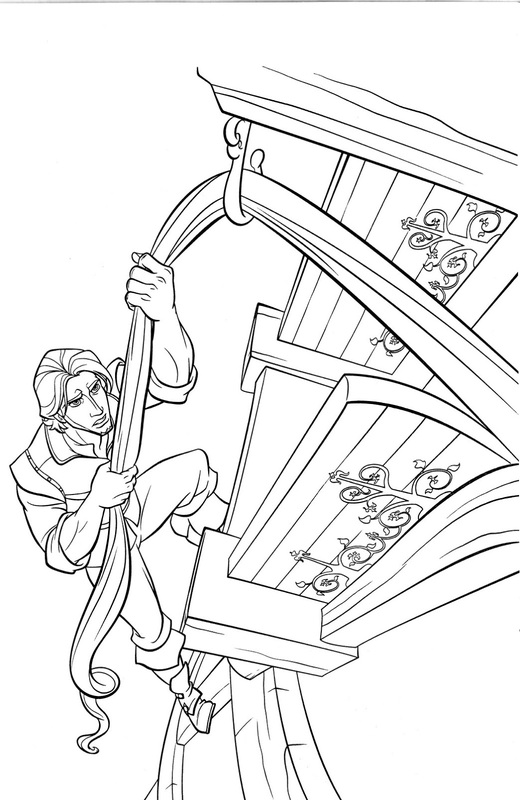 He climbs up into the tower, but Rapunzel knocks him unconscious with a frying pan and puts him in a wardrobe. 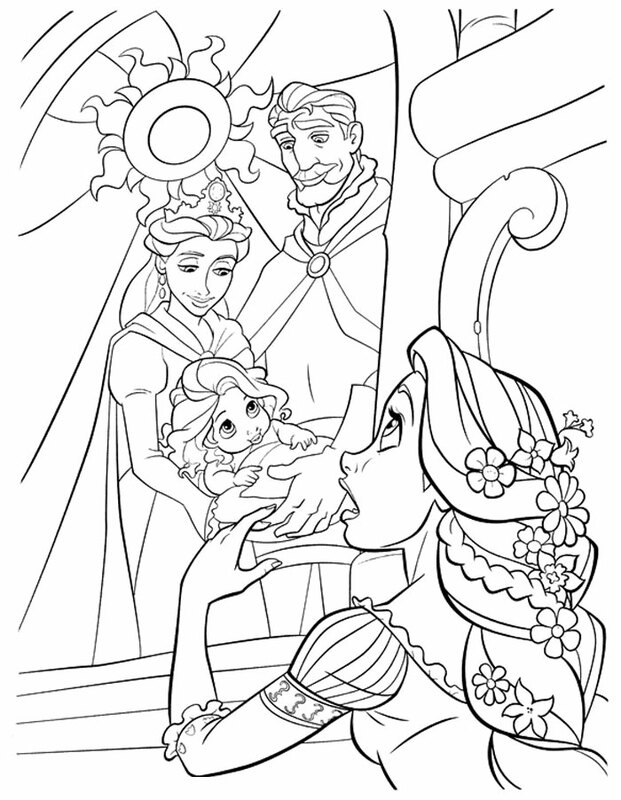 When Gothel returns, Rapunzel tries to show her the captive Flynn to prove she is capable of handling the outside world, but Gothel cuts her off by saying she is never leaving the tower, so Flynn remains hidden. 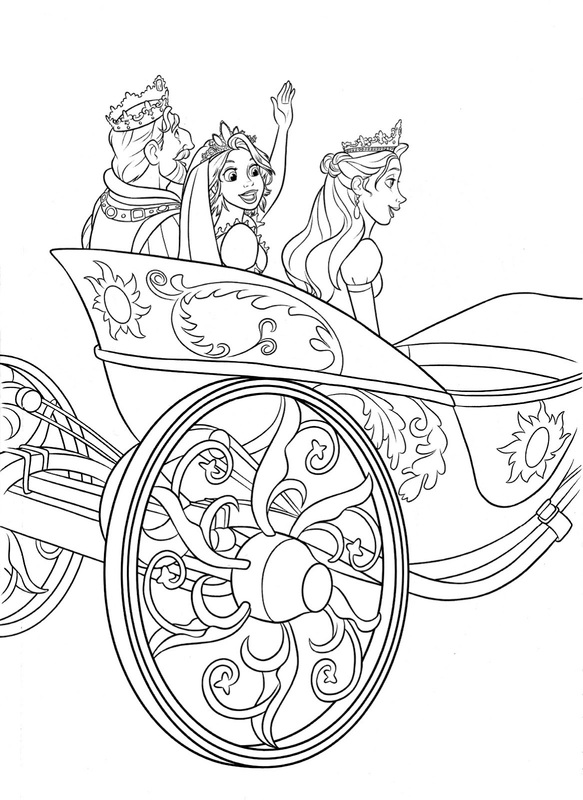 Rapunzel instead asks Gothel for a special paint, the ingredients for which require three days of round-trip travel. 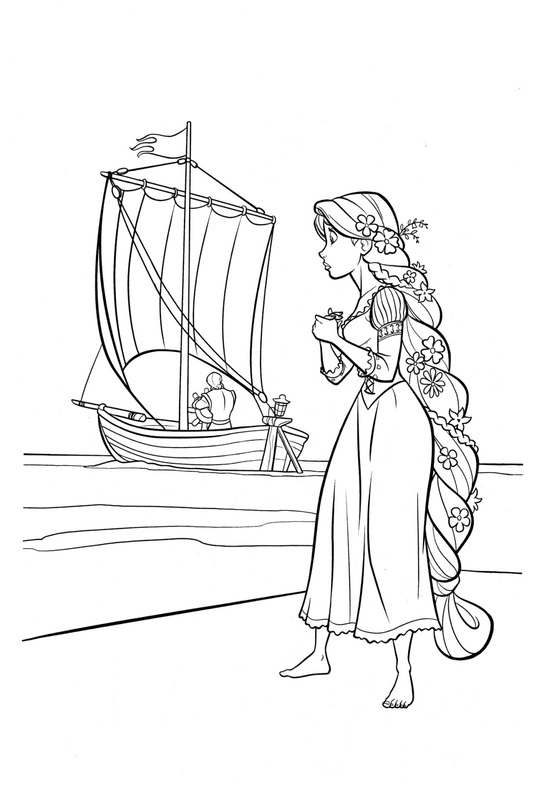 Gothel leaves and Rapunzel rushes to get Flynn from the wardrobe. 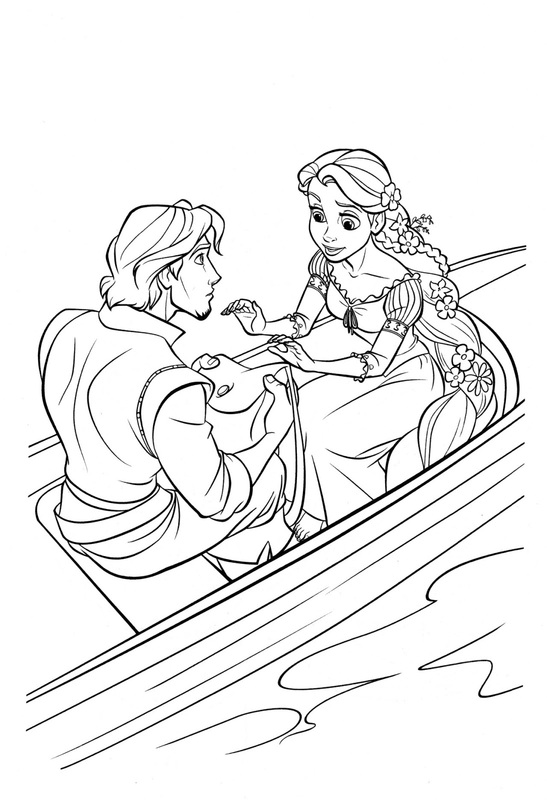 She ties him up in her hair then tells him that she will give him the tiara back if he takes her to see the lights. After much arguing Flynn agrees. While on the route, he takes her to the Snuggly Duckling Inn, which is full of Gaul thugs, in hopes of scaring her into giving up her quest. 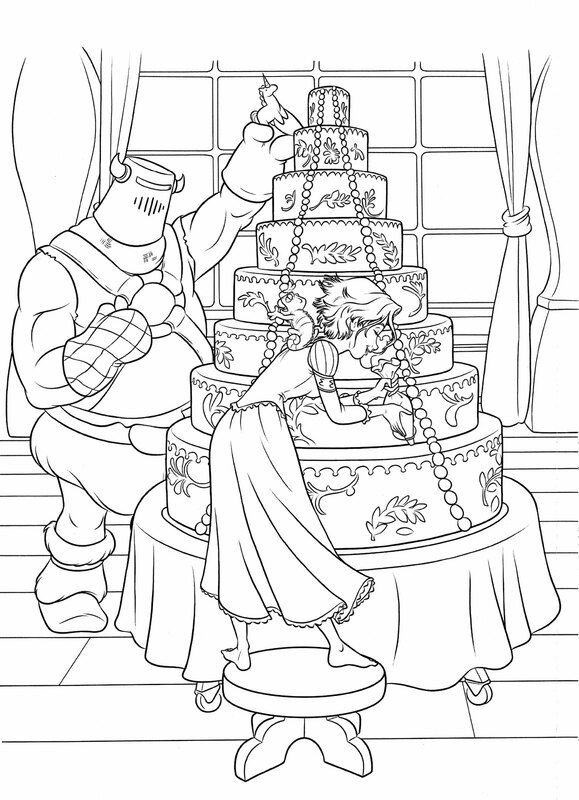 The thugs, however, are charmed by Rapunzel, who encourages them to follow their dreams. 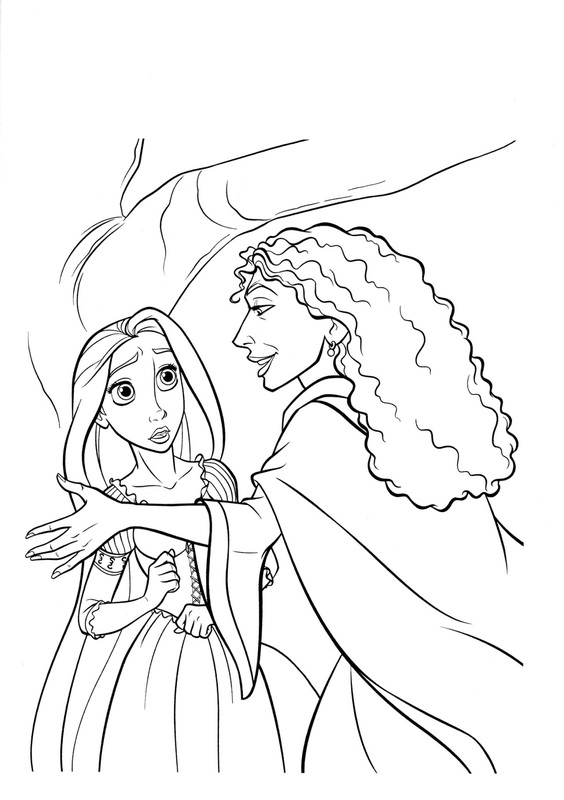 Mother Gothel accidentally stumbles upon Maximus. 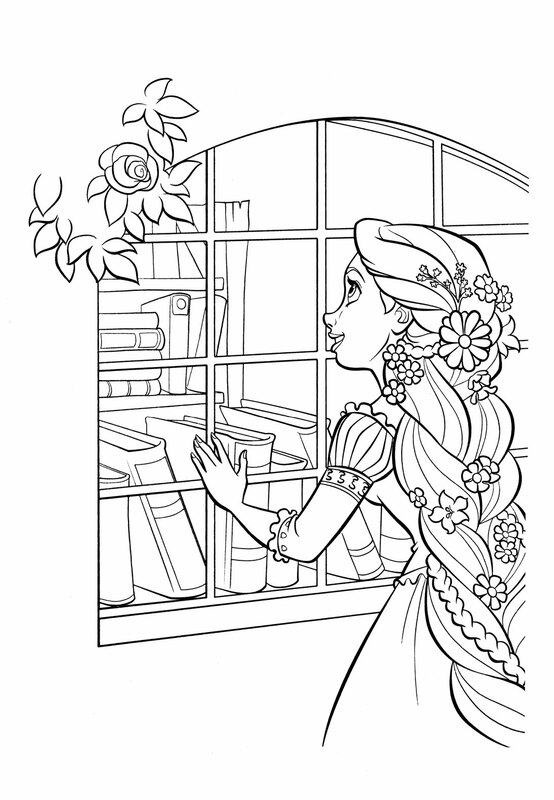 Fearing that someone might find Rapunzel, Gothel returns early to the tower. 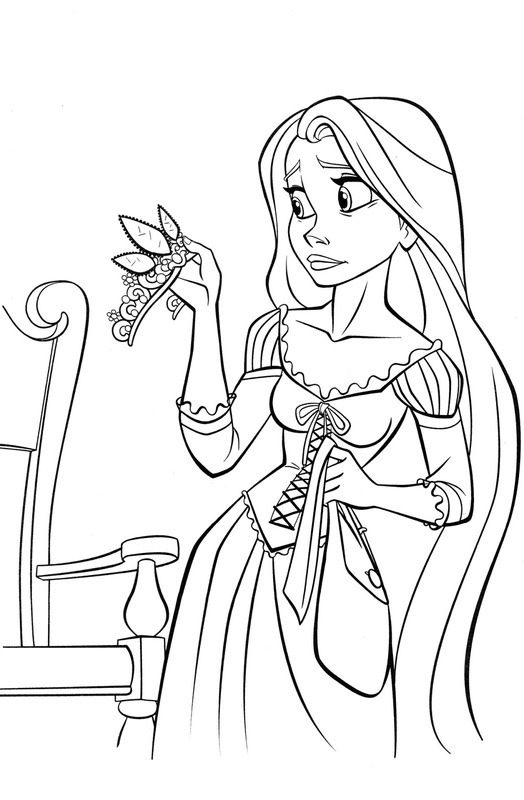 Rapunzel is gone but Gothel finds the tiara. 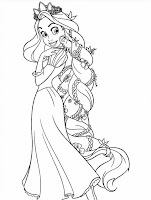 She then teams up with the Stabbington brothers so she can get Rapunzel back and the brothers can get revenge on Flynn. 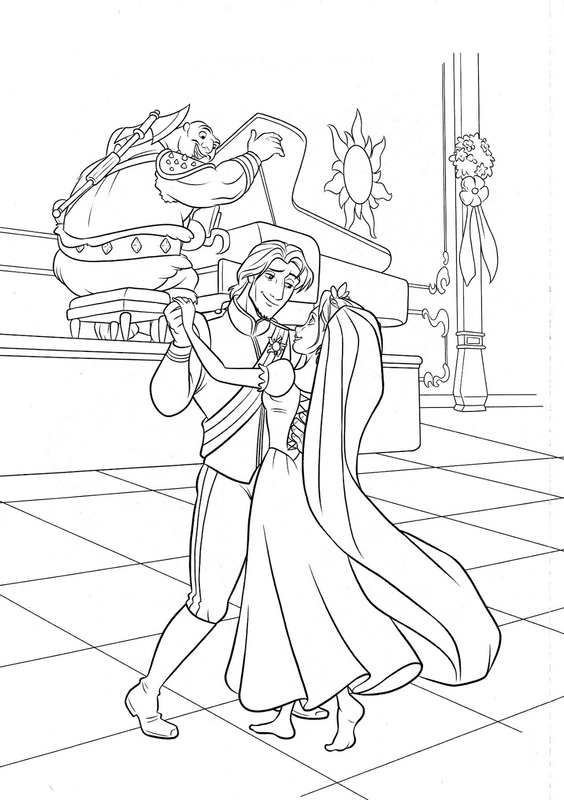 Meanwhile, the guards invade the tavern and chase Rapunzel and Flynn to a dam which collapses. 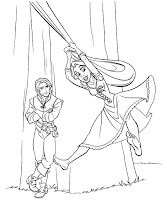 Flynn and Rapunzel become trapped in a flooding cave. Flynn cuts his hand while trying to find an exit but to no avail. 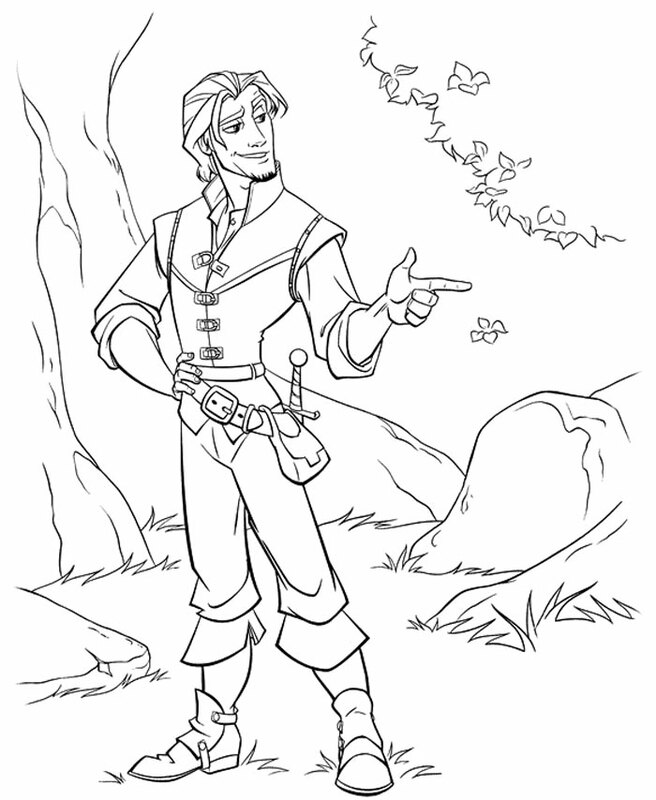 Believing he is about to die, Flynn tells Rapunzel his real name: Eugene Fitzherbert. 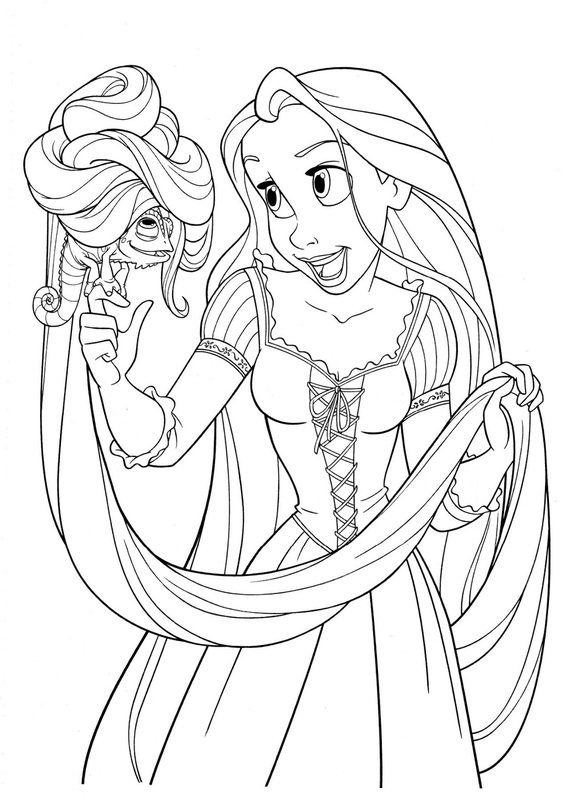 Rapunzel admits her hair glows when she sings, then realizes they can use the light from her hair to find a way out. 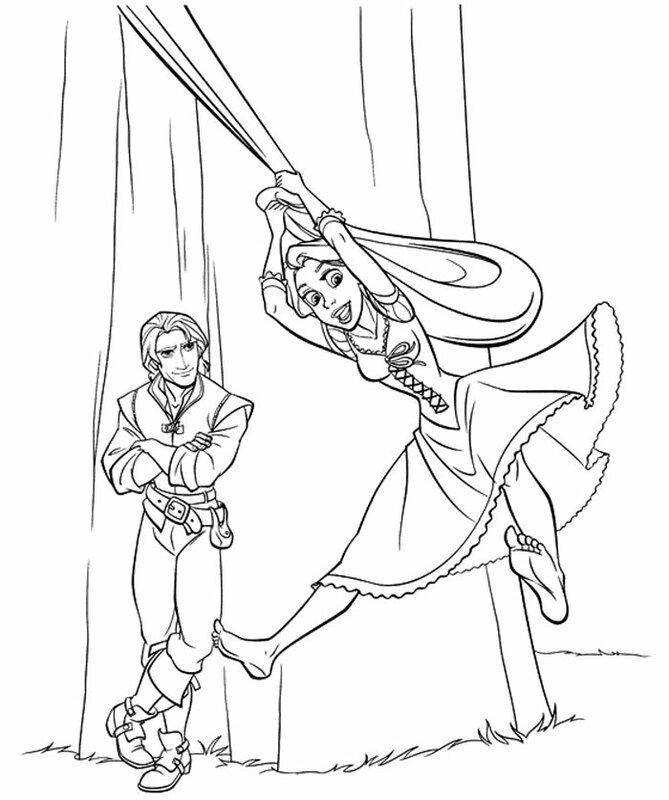 Rapunzel later uses her hair to heal Flynn's injured hand. 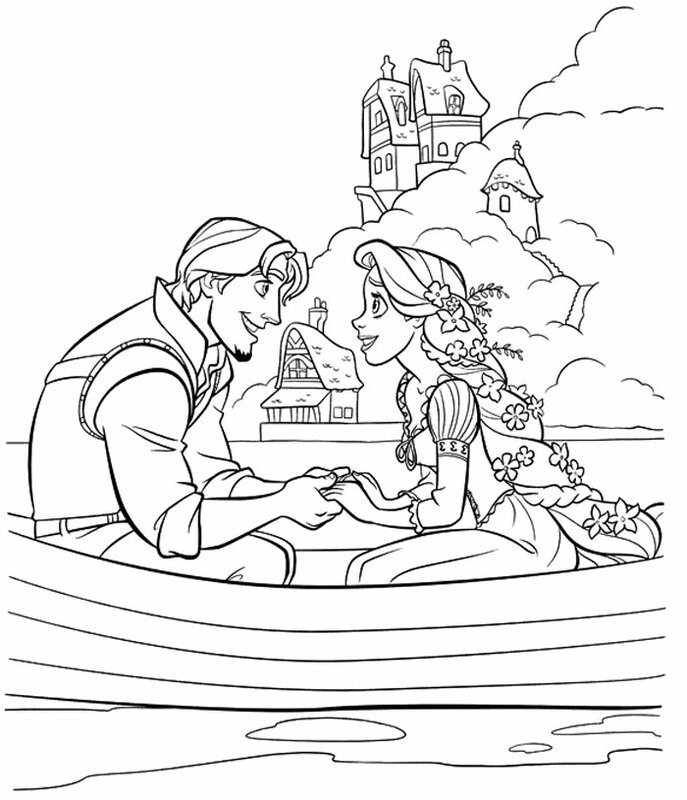 Flynn tells Rapunzel that he was an orphan who dreamed of being like the storybook hero that inspired his alias, but Rapunzel tells him she likes Eugene better than Flynn. 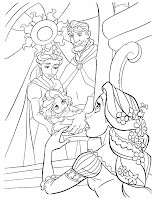 When Flynn goes to gather firewood, Gothel meets Rapunzel insisting that Flynn does not care for her and gives Rapunzel the tiara, suggesting that she test Flynn by giving it to him. 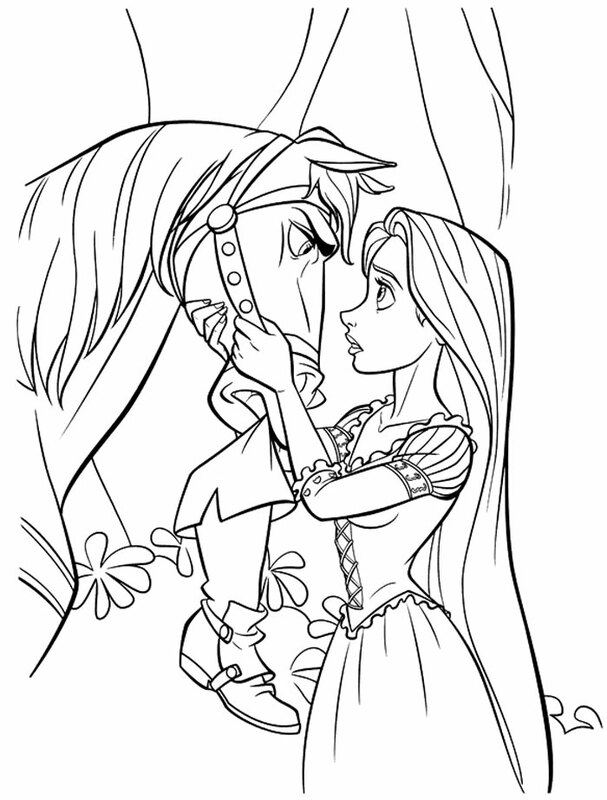 The next morning, Maximus confronts Flynn but Rapunzel befriends the horse and convinces him to help them instead. 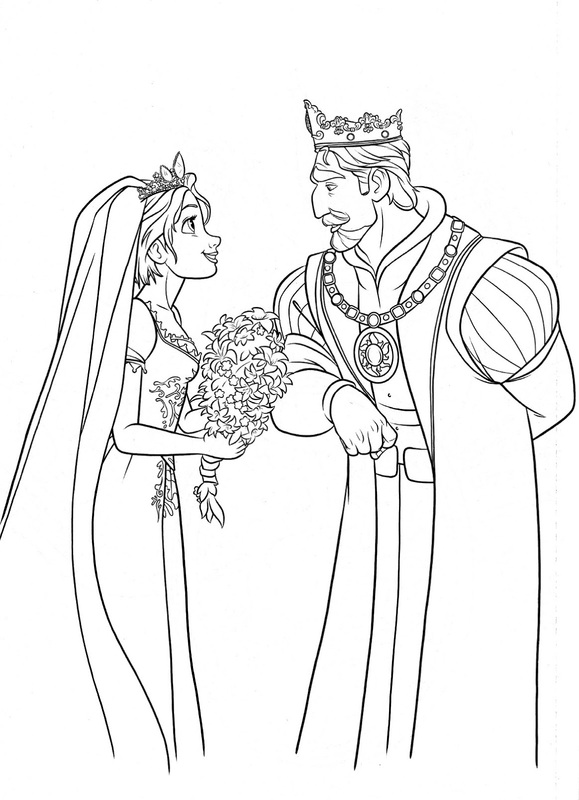 Arriving at the kingdom, Flynn takes Rapunzel round the city and later at night, takes her to see the lanterns. 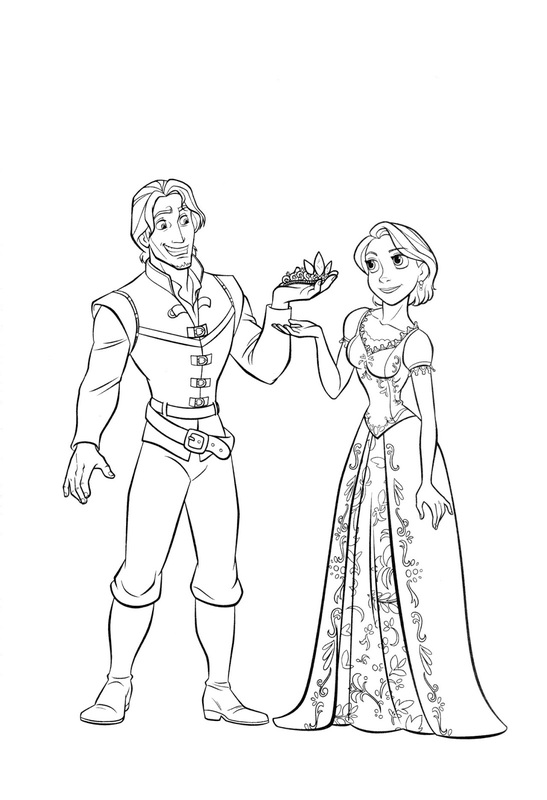 There, Rapunzel gives Flynn back the tiara. 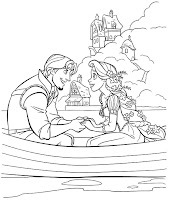 He realizes he has fallen in love with her, and just before he is about to kiss Rapunzel, Flynn spies his old accomplices and leaves Rapunzel to give them the tiara, realizing that he cares more for Rapunzel. The brothers, however, knock him out, tie him up on a boat, and sail him across the lake. 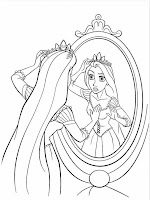 They tell Rapunzel that Flynn betrayed her as they attempt to kidnap her for her hair's power. 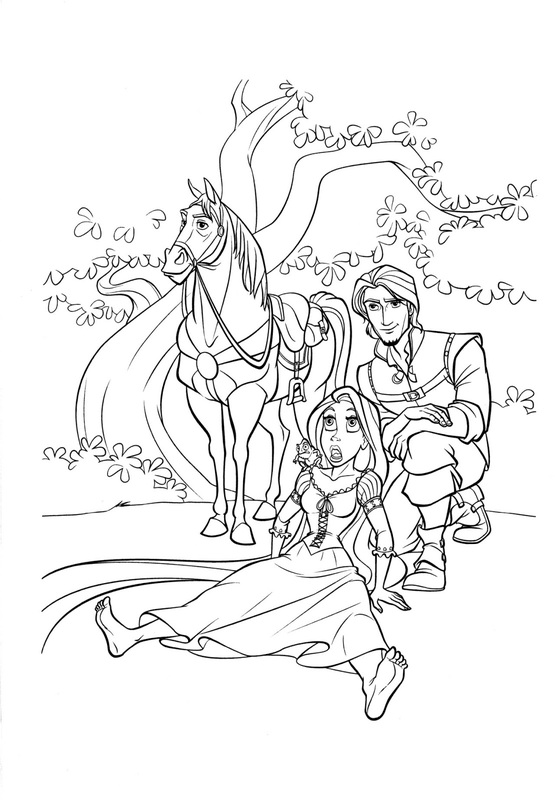 But Gothel stages a rescue by knocking the brothers unconscious and takes her back to the tower. 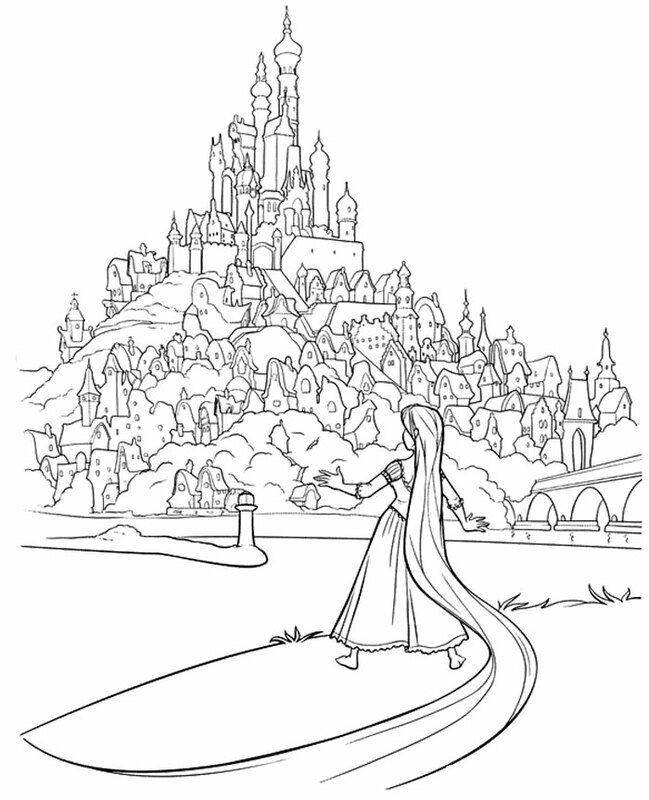 Later, while staring at a souvenir with the kingdom's symbol Flynn bought for her earlier, Rapunzel realizes she is the lost princess and attempts to flee the tower, but is captured by Mother Gothel. Meanwhile, Flynn is arrested and sentenced to death. After a brief confrontation with the Stabbington brothers over their knowledge of Rapunzel's healing powers, he is rescued by Maximus and the Gaul thugs from the inn. 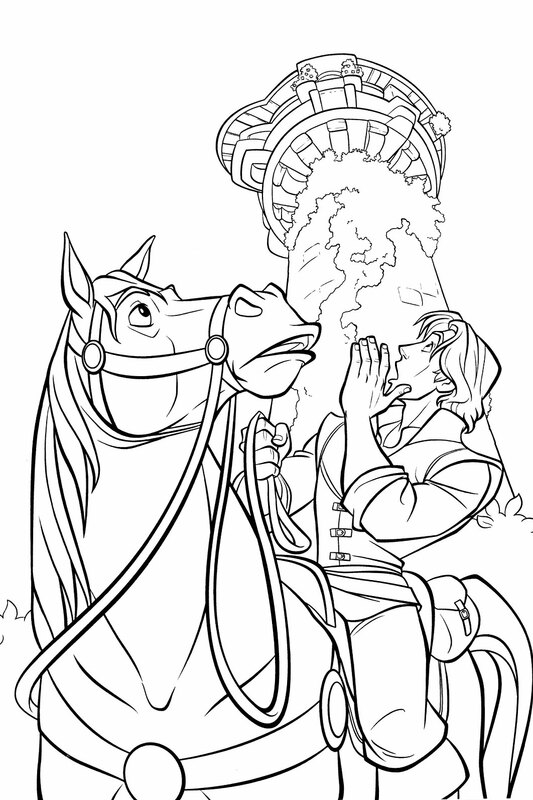 Flynn races back to the tower to find Rapunzel chained to the wall and gagged. 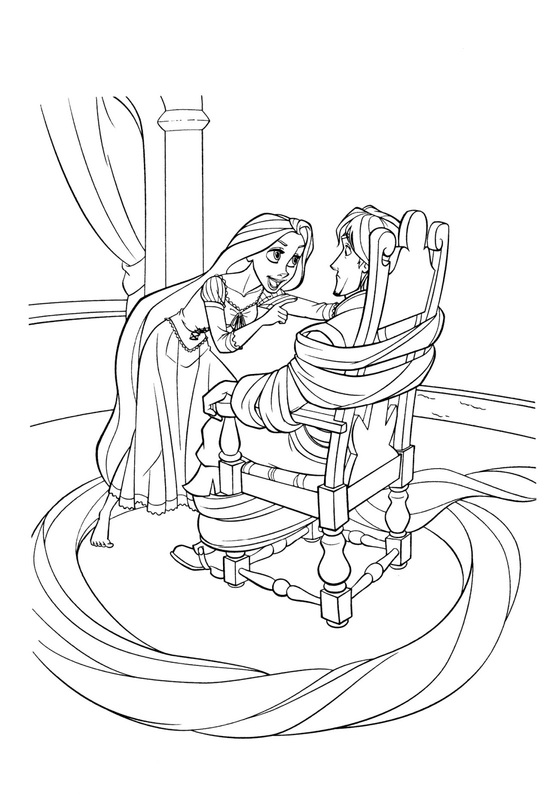 Gothel fatally stabs him with a knife and prepares to take Rapunzel to a new hiding place. 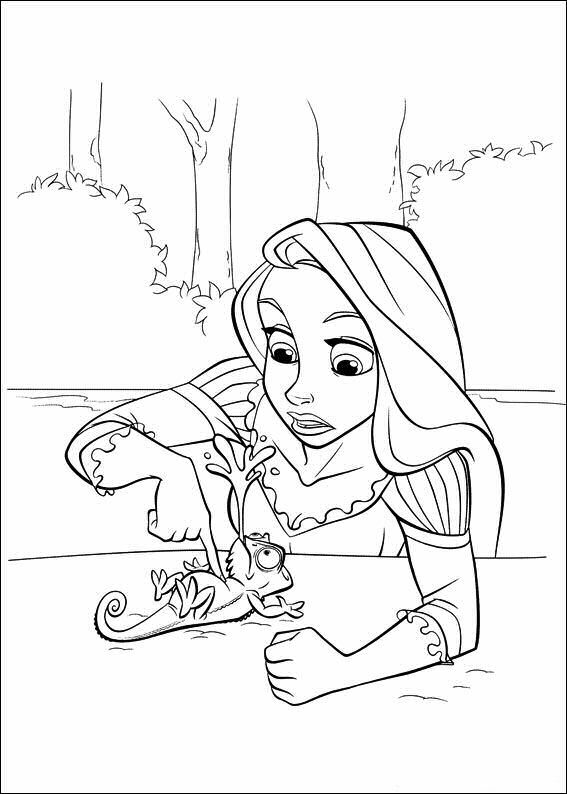 Rapunzel tells Gothel that she will stop resisting if she can save Flynn. 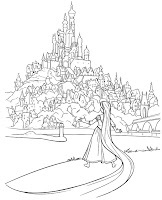 Gothel agrees, but before Rapunzel can heal him, Flynn cuts her hair so that she will not be bound by her promise to live in hiding with Gothel forever. 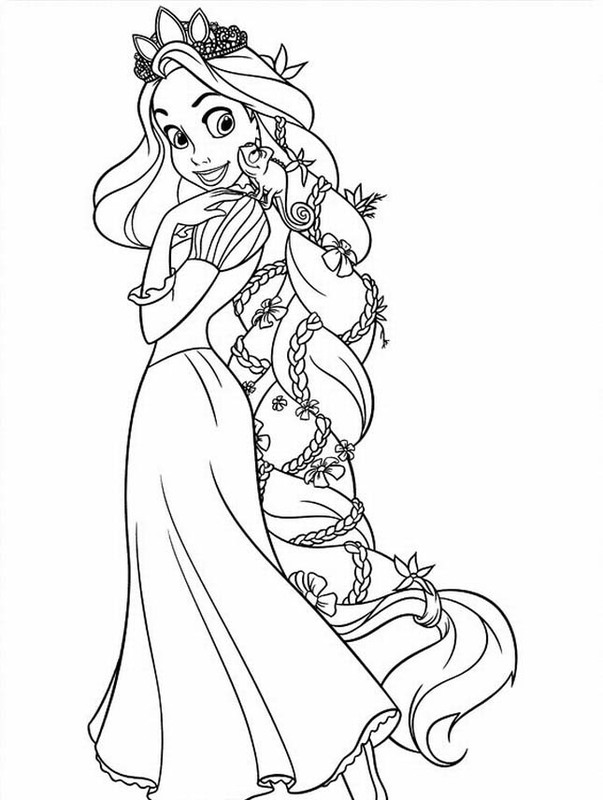 Rapunzel's hair instantaneously turns brown and loses its power. 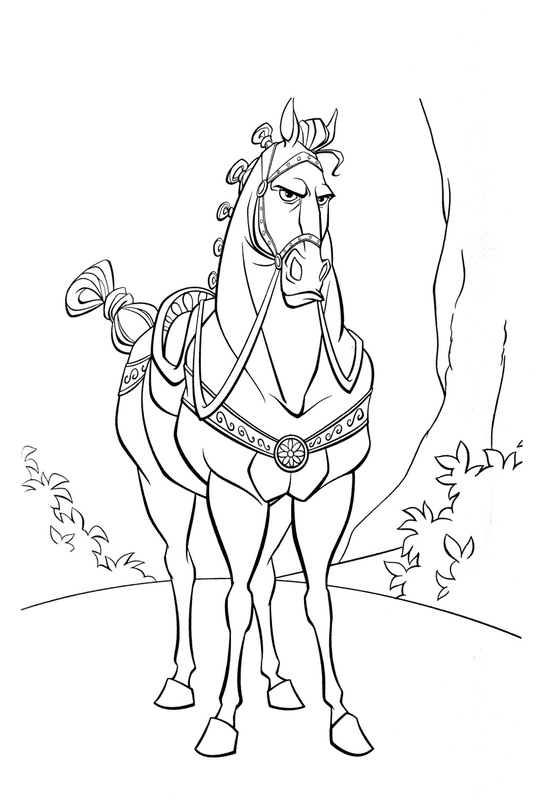 Gothel, in turn, ages rapidly and crumbles into dust. 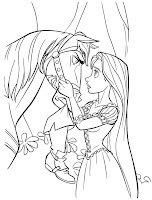 With his last breath Flynn tells Rapunzel that she was his new dream, declaring his love for her, and Rapunzel says the same for him. 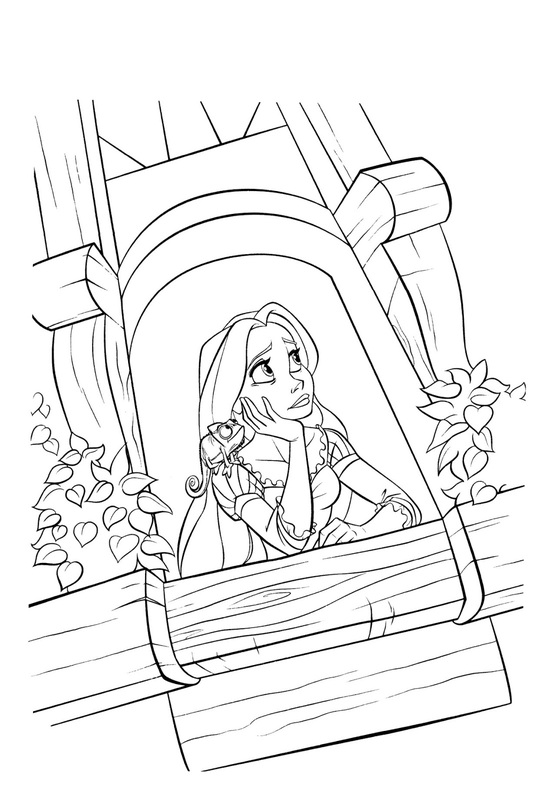 Flynn dies, leaving a heartbroken Rapunzel to finish her healing song and cry. But a tear had dropped onto Flynn's face, still possessing her healing power, revives him. 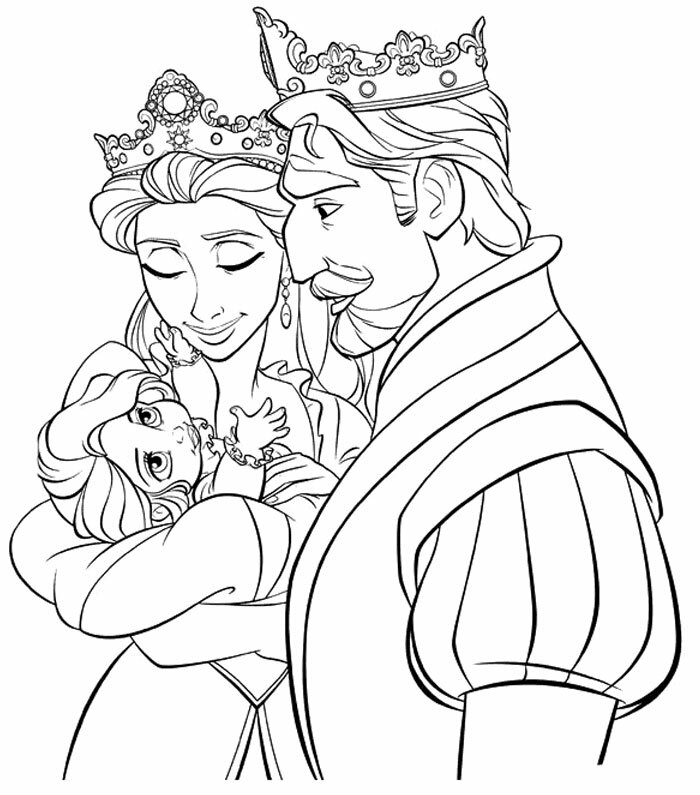 Returning to the kingdom, Rapunzel is reunited with the King and Queen. 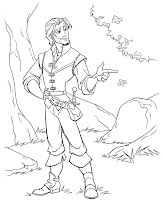 Flynn then closes the film, telling the audience that all the thugs made their dreams come true, he readopted his original name, and that he and Rapunzel married and lived happily ever after.